Our mission is to help students to move on successfully in their life irrespective of career choice or life path. 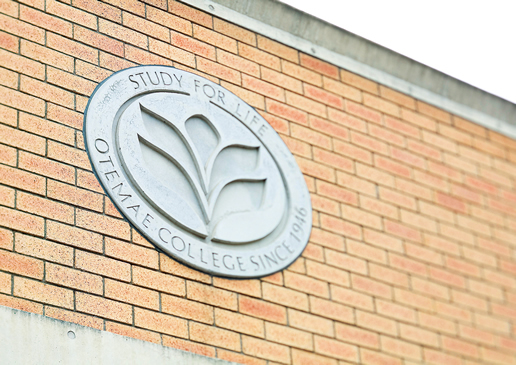 To this end, Otemae University focuses on liberal arts as well as specialized education. Although liberal arts education is sometimes misunderstood in Japan and considered as useless in the ever-changing world, we believe genuine liberal arts education enables students to develop the most essential skills, or more specifically, “problem-solving ability” that is absolutely indispensable to function and succeed in society, whether they are in the realm of academics, business or any other field of human life. In order to offer the best educational environment for students, Otemae has carried out various educational reforms. First of all, we established our original educational framework, “C-PLATS®”. This innovative system serves to clarify what kind of competencies students should acquire, to break down the learning processes and to grasp the whole picture of competency development. We have also introduced PBL(Problem-based learning) and SDL(Self-directed learning) methods. Rather than simply listening to lectures, students teach themselves. Students choose topics, gather information, collect data, analyze and think logically and find conclusions or solutions, which is followed by a presentation and a discussion in class under the guidance of the teacher. These learning processes help students to develop such basic skills as those of communication, logical thinking, teamwork, leadership and social responsibility, which we believe are most required in society. In addition we have introduced an interdisciplinary curriculum, so that students can take any courses major or minor, offered by the university, regardless of which faculty they belong to. Through such learning, students are able to prepare for challenges they may face in their later life and we are convinced that they find solutions to these challenges, and hopefully create new values and contribute to society. We also offer a wide range of liberal arts and specialized programs conducted in English. The faculty come from around the world. Students from around the world study in English as a universal language. Students from different cultures learn from each other and nurture mutual understanding in an international environment. The campus is located in a prestigious residential area between Osaka, the largest business center, and Kobe, the most beautiful harbor city in the Western Japan, which allows students to enjoy a quiet educational environment and a bit of modern Japan. Kyoto and Nara, the most popular sightseeing places to learn Japanese history and old culture, are less than one hour away by local train. The faculty and staff are looking forward to seeing students from home and abroad, and hope that they maximize their potentials, deepen cross-cultural understanding and expand their fields of activities not only in Japan but also to overseas.